Whenever I buy raw meat, I go to my local butcher who sells high quality beef. I asked him to get me some lean cut Angus beef and have it cut into tiny pieces (in Italy this type of cut is called battuta). “Carne batutta” looks like ground meat but it isn’t. However, I thought: what is beef without its potatoes? It’s like bread without butter, or fries without ketchup. Thus, I added a light potato salad with onions and cucumbers to please my guests’ taste buds (and mine of course!!). 450 grams Angus beef cut into tiny pieces. 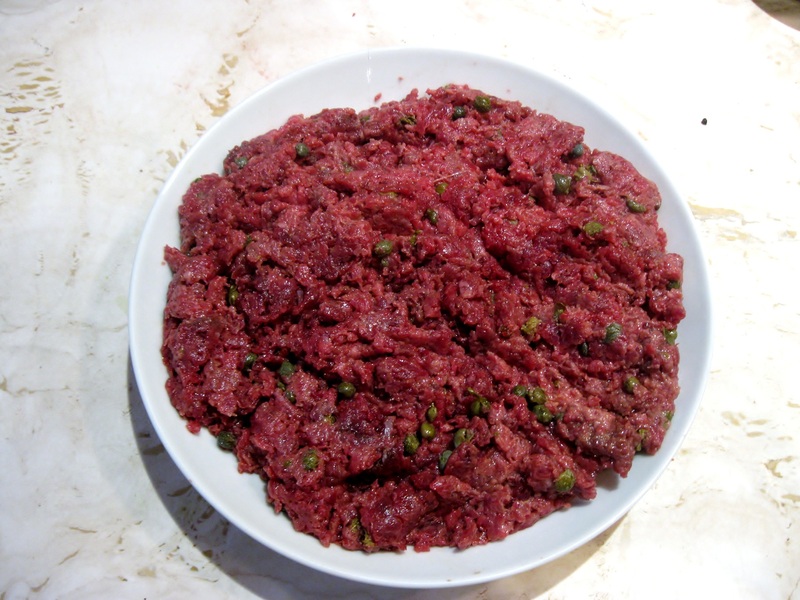 To make meat tartare, combine all ingredients and blend well. 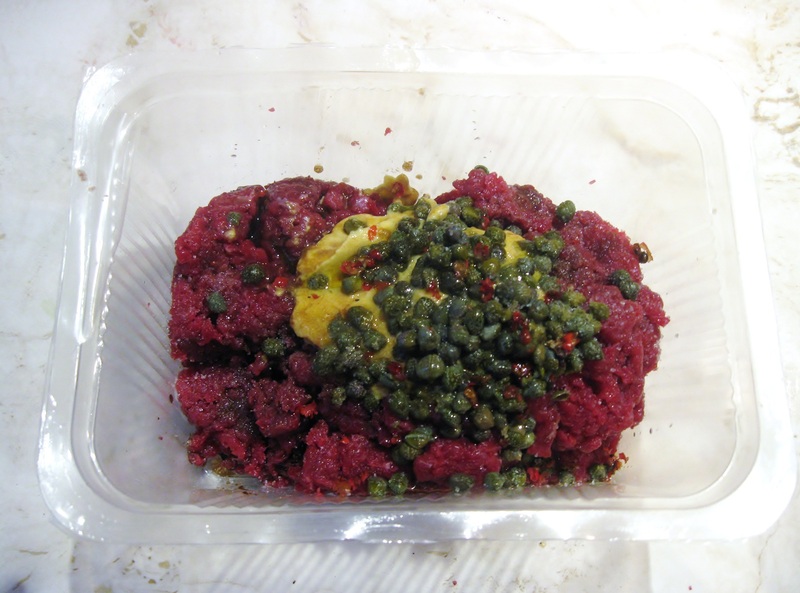 During summer, if you are not going to use beef tartare right away, it is better to refrigerate it to prevent meat from being exposed to heat. 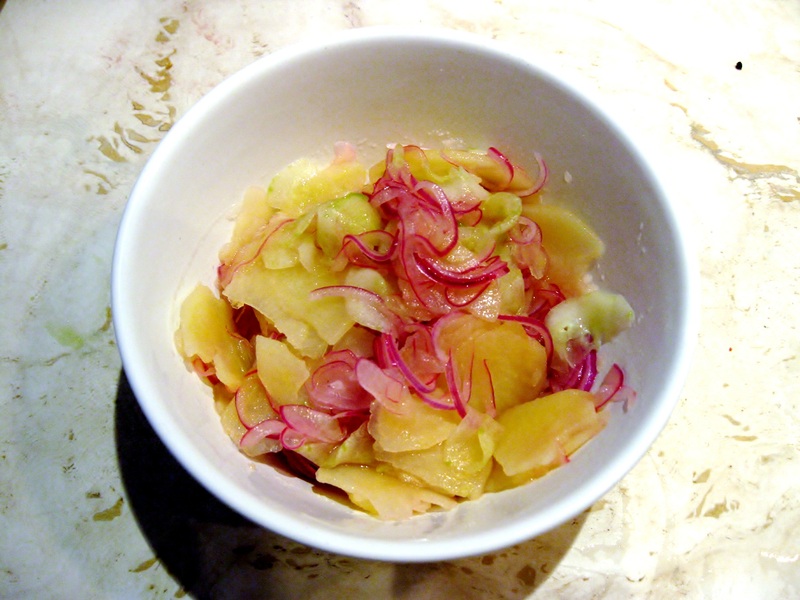 To prepare potato salad, peal potato and slice thinly. 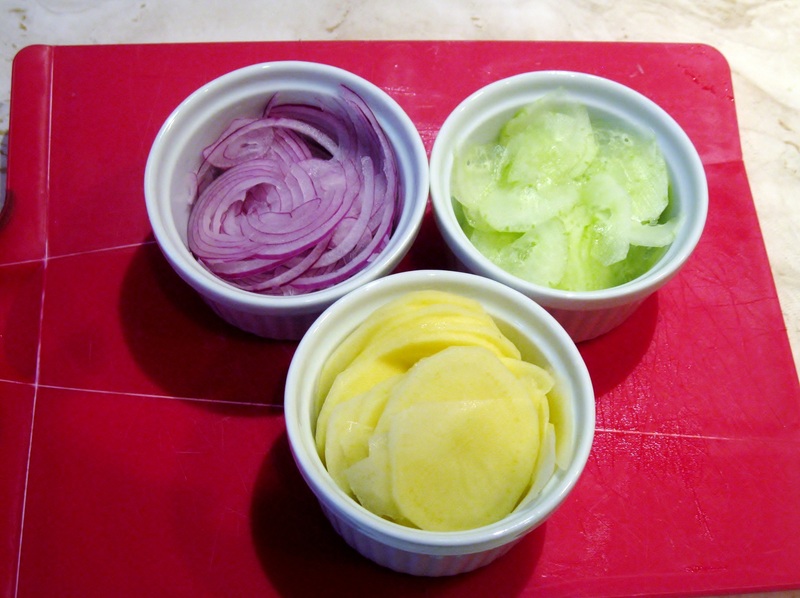 Slice red onions and cucumbers thinly. 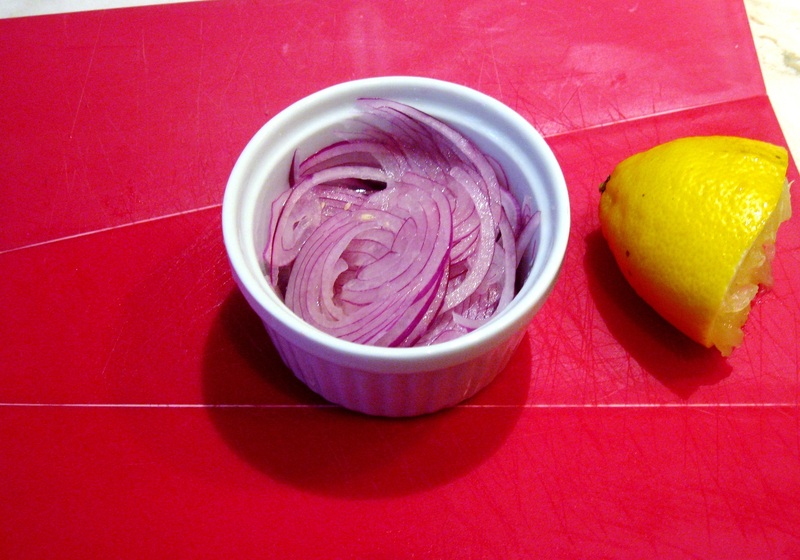 Add lemon juice to red onions and salt to taste. Let is stand for about 30 minutes. This will remove the after taste of onions! Add salt to cucumbers. Meanwhile, bring water to boil in a small pot and add sliced potatoes. Cook for about 6-8 minutes or until potatoes are tender. Combine potatoes, onions, and cucumbers and blend well. 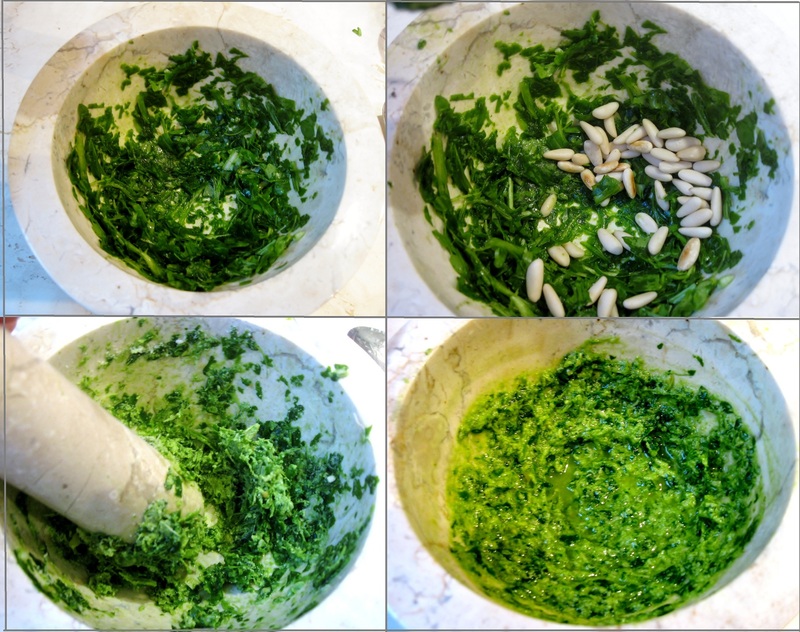 To make arugula pesto, use a mortar and pestle. Begin by crushing arugula leaves, and add pine nuts. Crush pine nuts and then add Parmigiano Reggiano cheese. Blend well. Finish pesto by adding extra virgin olive oil. Add salt if needed. 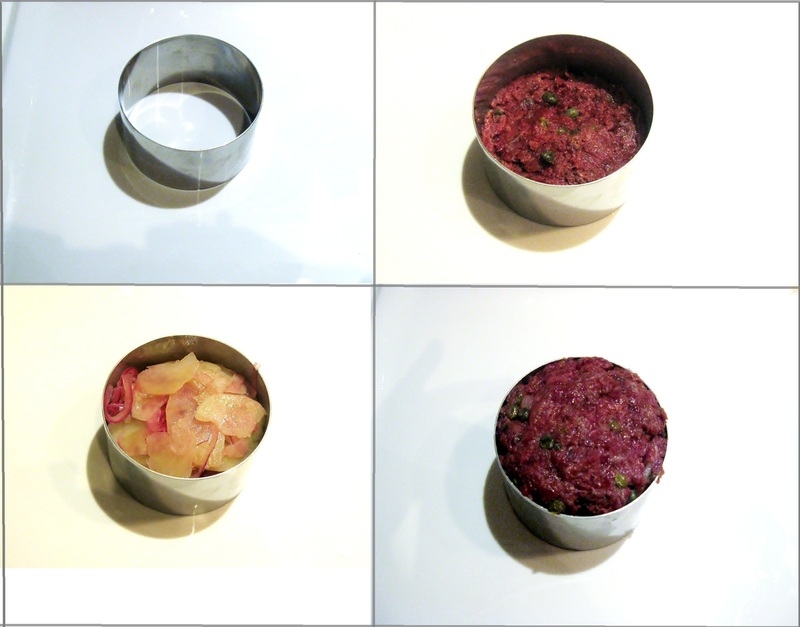 To plate beef tartare, I used a round metal pasta cutter. Place the pasta cutter in the middle of the dish and add about 3 tablespoons of beef tartare. Put about 3 tablespoons of potato salad on top. Finish by placing more beef tartare until it fills the entire pasta cutter. Press it down to firm it up. 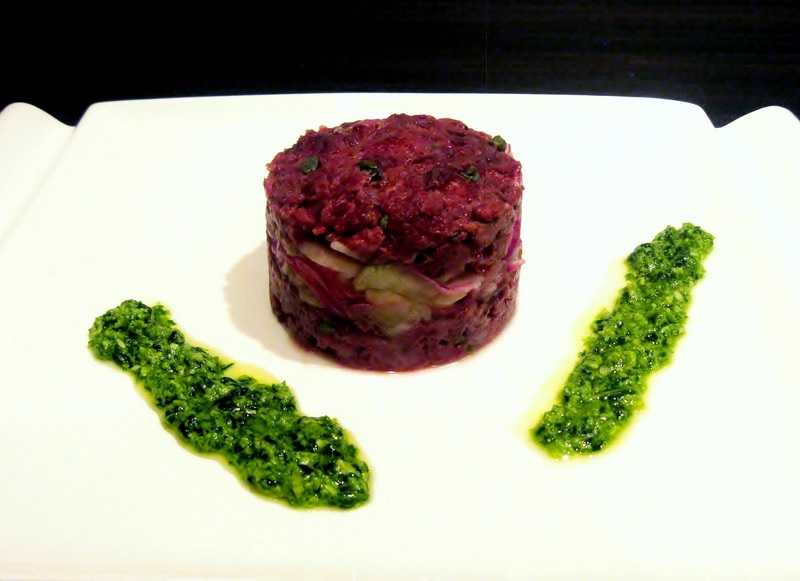 Finish plating by forming two thick strips of arugula pesto on each side of the beef tartare. I would have loved to be one of your guests!! 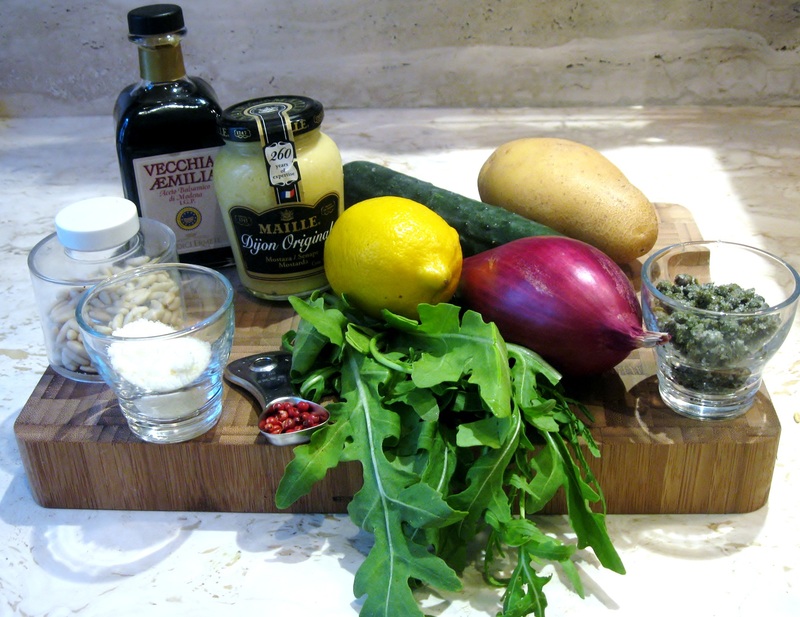 How clever to add in the potatoes and use arugula for pesto. I like how arugula compliments the flavor with beef. Beautiful presentation! Thank you!! That is very kind of you!! Wonderful! I love the capers and the freshness of the meat, which is something I may have a hard time finding here! I love the coolness of the meal too. The fries line made me laugh. My wife hates ketchup too! She does extra salt or vinegar. Jajajaja! I wanted to be punny on that! I am glad I made you laugh! I love tartare and am frustrated at how hard it is to find good beef in Andalucia. I want to come to your house for dinner!! That is very sweet of you! And it would be my pleasure!! Poor thing!! Indeed, when preparing steak tartare, one has to be extremely careful. First of all, you should rely on the source and my butcher is 100 % reliable. He’s more expensive than others but that is because his meat has high standards of quality. Second, meat conservation is crucial. Once you season and mix all ingredients you should place immediately steak tartare in the refrigerator to prevent heat exposure! I can only dream of having a butcher like yours. The dish looks fantastic. Beef tartare is one of my husbands favorite dishes. Thank you!! It is also one of my husband’s favorite dishes, therefore I make it often! It’s not often that I hear/see the word “batutta.” My Grandfather insisted that a number of dishes be started by sautéing a “batut'” of thinly sliced salt pork, parsley, and garlic that had been chopped repeatedly until a paste resulted. Thanks for sharing — and for the memories. You got it! In fact, battuta is beef that has been chopped repeatedly into tiny pieces and it looks like ground beef so that is why it has that paste consistency!! It looks beautiful and must taste great too. 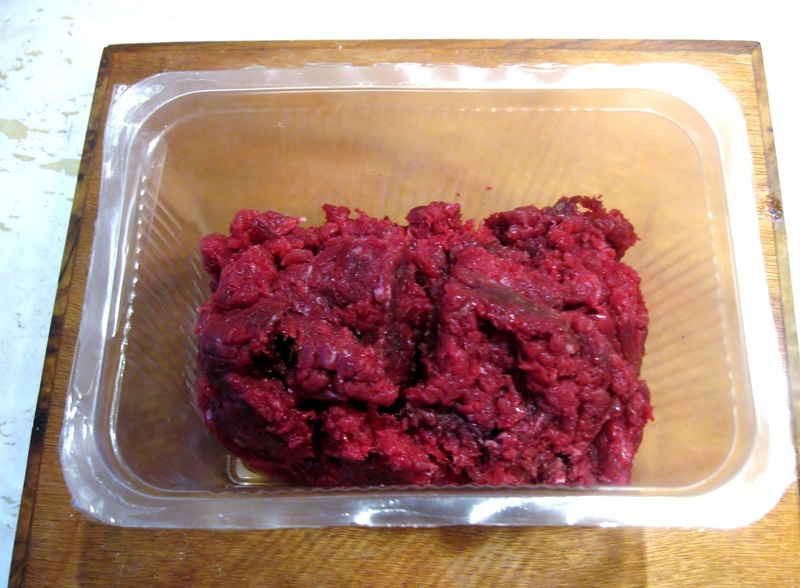 I often eat carpaccio of beef, but tartare less so….maybe it’s time to try it. A good idea for summer. Either beef carpaccio or beef tartare are great summer dishes. I like to vary with fresh seafood since we get good seafood from the Tyrrhenian Sea.